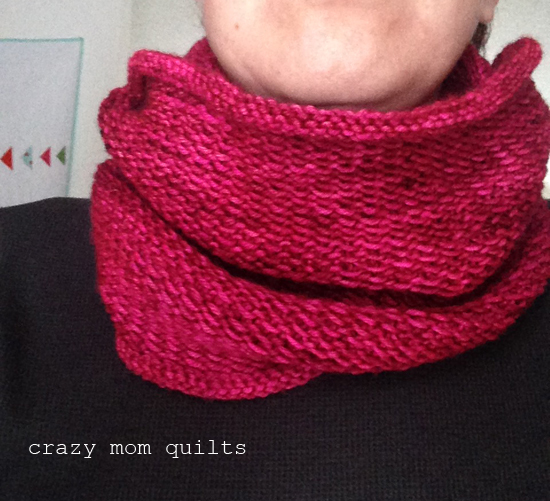 I'd highly recommend the pattern! I've already cast on another one in a yummy aqua color. I started making these blocks back in July of 2013. 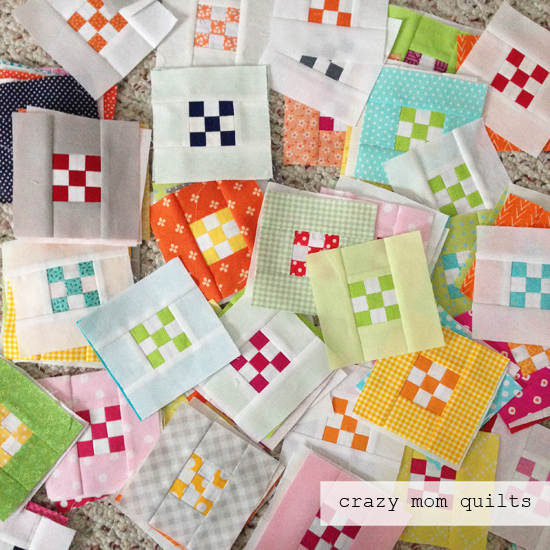 Each 9 patch finishes at 1 1/2'', which means those little squares within the 9 patch are 1/2" finished....give or take. (So tiny! So crazy!) 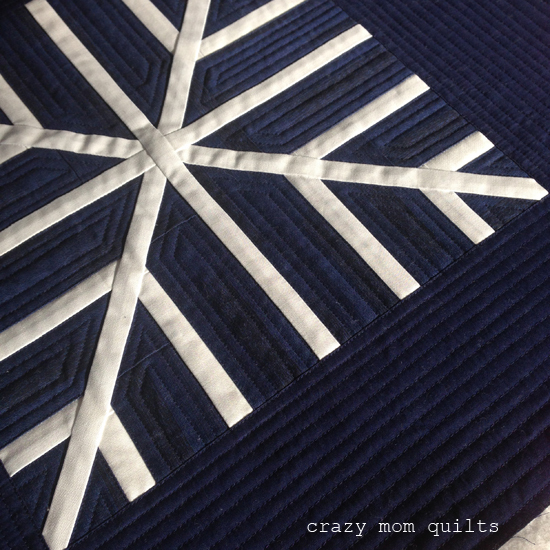 Precision piecing is not my thing, so these blocks nearly drove me to the brink of insanity--a few times! I've learned a lot about myself through the process. One of those things is that I have more stubbornness than good sense. (hahaha!) I also know that these blocks are going to make one fabulous quilt top! So, here's to a little (or a lot) of perseverance!!! Now it's your turn to share your finishes for the week! Thanks for joining me for finish it up Friday! 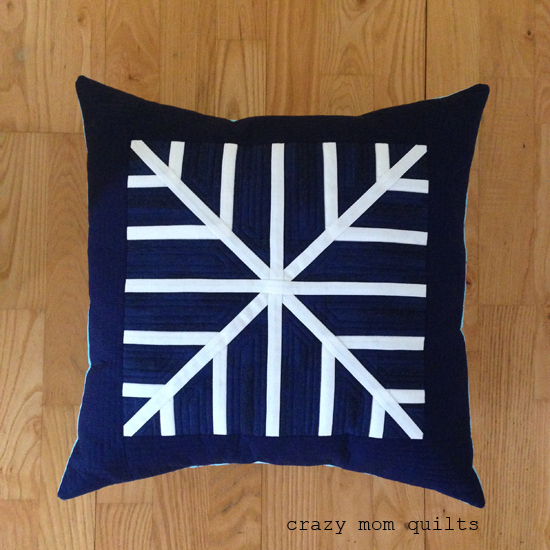 It has been awhile since I made a pillow cover...it was high time to remedy that! I actually had a bare pillow that needed covering. (Can you believe it???) So, I can check that off my list. Yippee! 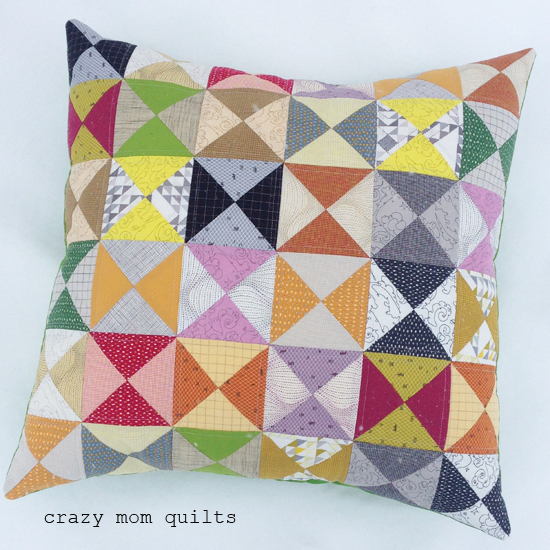 For this pillow cover, I started with several charm squares of Jennifer Sampou's new stash studio yarn dyes and stash studio prints. (Fabric is scheduled to be released this month.) 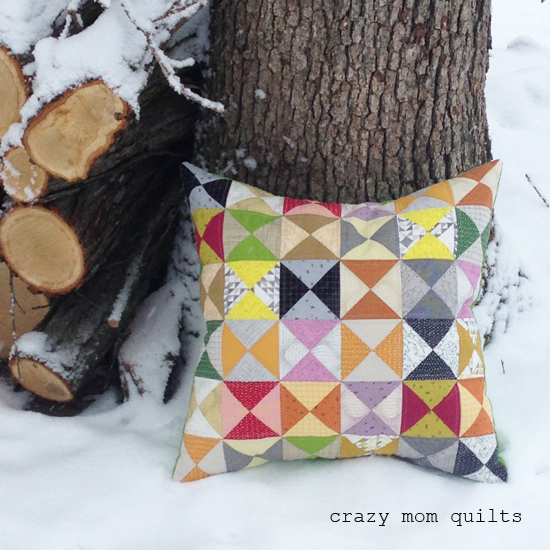 I added in a few solids and textural prints (4 total) from my stash to make the pillow top square. I figured it would be easier to finish it that way. Ha! It usually takes me 2 years (no joke!) to decide what to make from new fabric, but for some reason the idea of hourglass blocks popped into my head right away. I ran with it, and I'm so glad that I did. I love, love, love the results! I feel like this is an unexpected color combination, but I couldn't love it any more. I think it's fabulous! 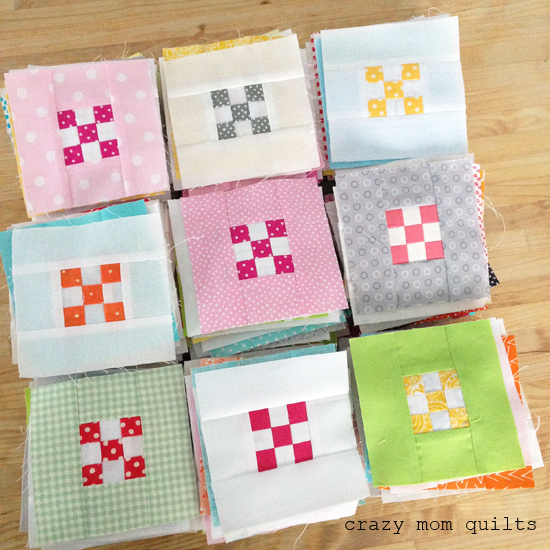 I cut the charm squares down to 4.75", which resulted in 3.5" finished blocks. (You can refer to this hourglass block tutorial, if you care to make some of your own.) 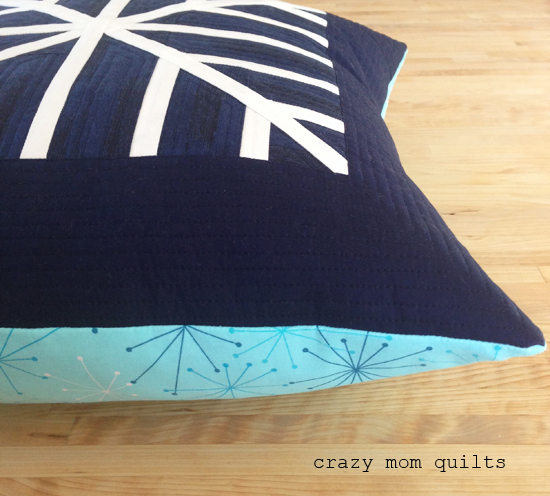 I finished the pillow cover with an envelope back using this wonderful Echino polka dot fabric that I found at my last trip to SR Harris. Now it's your turn! Please link up your finishes for the week. Thank you so much for joining me for finish it up Friday! I haven't forgotten! 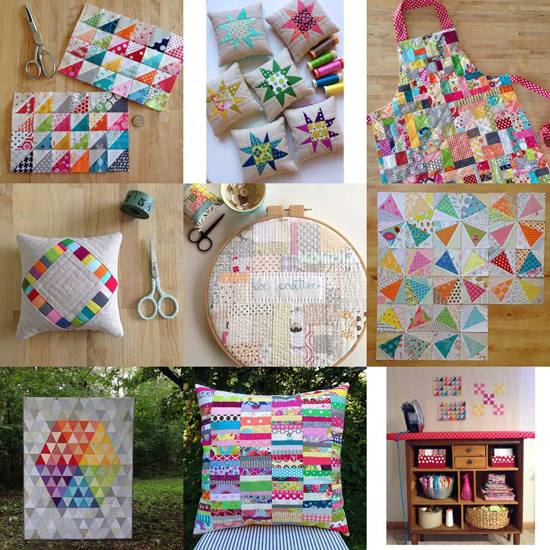 The winners of the 3 PDF patterns from last week are: Jen from Stitchified and Granny Maud's Girl. Thanks to everyone who played along! Happy New Year! I hope you all had a great (and safe) time celebrating last night! Last year was a super busy year for me. Good grief! 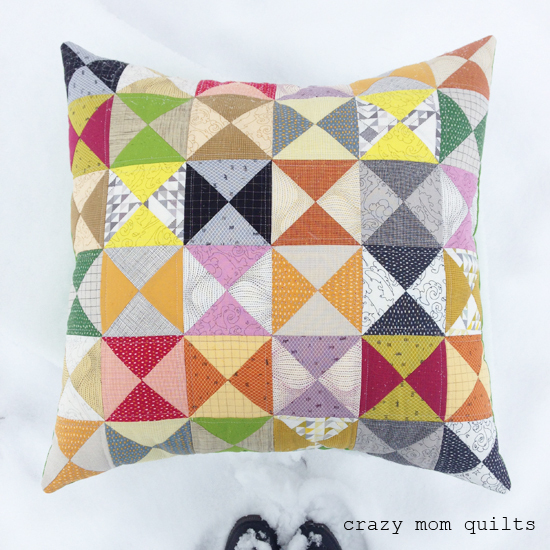 My family and I went on a "real' vacation to Florida in February, I prepped for and taped my Craftsy class: Colorful Scrap Quilting, I taught several days at the Minnesota Quilt Show, I turned 40 (!!! 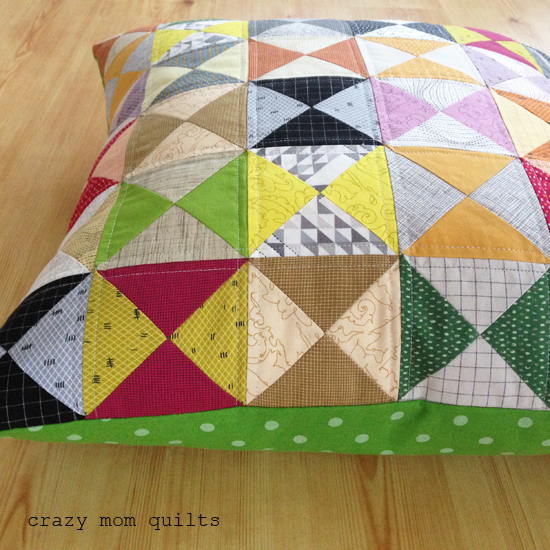 ), my good neighbors fabric line was released, and I started writing another book! 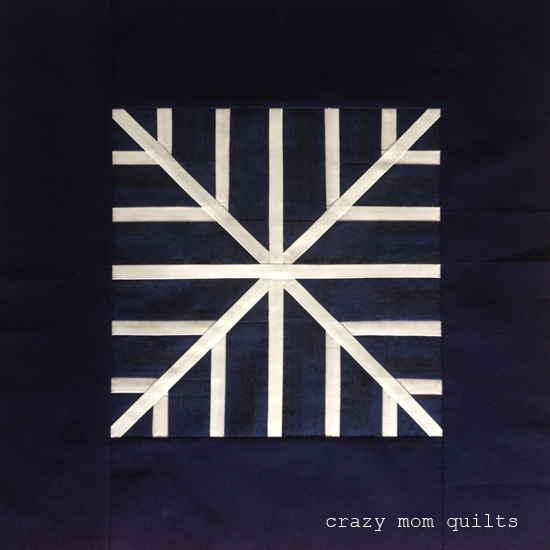 I also released several new patterns and made a bunch of quilts. No wonder I'm tired! I'm happy to say, I accomplished ALL of my goals that I posted last year. I guess public accountability really does help! Looking ahead....it's time to catch my breath and regroup!!! My one crafty goal this year is to knit a sweater for myself. That's it! Also, I think that this is the year that I finally decorate my house. It's time to make it look like someone around here actually cares about that type of thing. Hahaha! I'm looking forward to a slower pace this coming year. 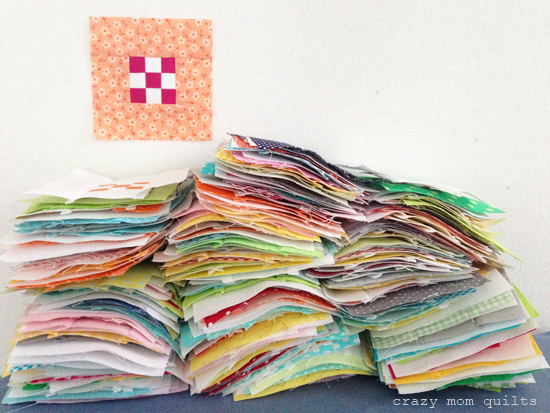 But, I bet I will still find time to sew up plenty of scraps! Here's to a new year, new finishes and a fresh start!